Many parents in Viet Nam want their children to do lots of extra lessons after school. Now, people are asking the question: does it help? A study has shown that the students who do best do only two hours' studying. It has also found that too many extra lessons can turn children into unhappy people. It is just after seven in the evening when Nguyen Minh Trung gets home. It's been a long day, more than 12 hours, in fact, and he's exhausted. "Please give me a second. My head's going to explode," he says when his mother asks him to go and take a bath. He is desperate for a moment when he has to do nothing. It is just another day in the life of the 6th grade student. He gets up at 6am, has breakfast and leaves home at ten to seven for regular classes at school that end at noon. Home for lunch, he leaves again for his first extra class that begins at 2.30 in the afternoon. The second extra class begins at 5pm and ends at 7pm. Then he is "free" to go home, freshen up, have dinner and do his homework. At 10 pm, he can, finally call it a day and go to bed. Pushing Trung's rigorous schedule into Ripley's Believe it or Not territory is the fact that it has not reached its peak, with schools having opened just weeks ago. But tired as he is, he does not do enough, he feels. "I don't want to go to that many extra lessons, but all my friends do, some even do more. I'm afraid that if I don't keep up with them, I would not know as much as they do. My parents say so." Trung's mother Trang, just like millions of parents in Viet Nam, feels she can't afford not to have her child bear all that that extra workload. "Every single student in his class is doing the same thing. How could we (his parents) not push him? We are afraid he might fall behind." A survey of 140 elementary schools in six provinces last year found 75 per cent of parents saying they have their children do extra lessons, even though 55 per cent felt they were not necessary. The desire that their children do well at school and the fear that they might not be competitive enough are common, but are more and more lessons outside the school doing what they are supposed to? A recent study done by Pham Thi Thu Ba for her Public Health PhD thesis with the Queensland University of Technology in Australia, showed extra lessons do not necessarily improve students' academic performances. Covering nearly 2,000 high school students, the study found those who did two hours of self-study after school a day produced the best results. The evidence suggested that extra lessons or private tutoring for more than three hours a day did not result in higher academic performances. Worse still, such students faced higher risks of academic stress, depression and other forms of psychological distress. Michael Dunne, veteran researcher in the field of adolescent education in Asia and professor at Queensland University of Technology, said Ba's study has "found some serious problems related to academic stress and study pressure as well as their traceable impacts on students' poor mental health." However, "it's beside the point to criticise the (Asian) culture or the parents. What we hope to do is to give them practical, evidence-based advice," he said, "The study showed there is no correlation between doing a lot of extra lessons and higher academic performance." The finding suggested the optimum amount of private tutoring or extra lessons was between one to two hours per day, he added. The study's findings are apparently corroborated by hospitals across Viet Nam. The HCM City Mental Health Hospital carried out checks on 25,000 children between three and 15 years old in 2011. The number rose to 28,000 in 2012 and 32,000 in 2013. A large number of these children said they experienced intense study pressure, said doctor Lam Hieu Minh. In 2013, a study by the Da Nang City Mental Health Hospital, covering three high schools, found that around 20 per cent of male students and 10 per cent of female students had mental problems. Some 58 per cent of the students said their parents complained often about their academic performance. Hoang Le Thuy, a consultant with the Ministry of Labour, Invalids and Social Affairs (MOLISA), said its children's helpline, 18001567, received numerous calls every day from stressed out children. "They said their parents were putting a lot of pressure on them. They also did not know how to tell their parents that they were stressed," Thuy said. 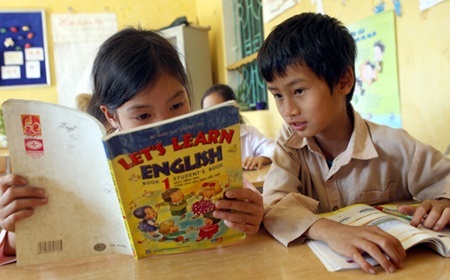 Le Anh Lan, Inclusive Education Officer from the UN Children's Fund, said there was a lack of practical teaching in Viet Nam's education system. UNICEF Viet Nam has been supporting the Ministry of Education and Training in conducting a study on improving general capacity of students, and the ministry is well aware of the systemic weaknesses, including the lack of guidance about suitable options after high school and employers having to retrain college graduates. It is no secret that large numbers of students with bachelors or masters degrees are unemployed. "One might ask why newly graduates are unable to even find a job, not to mention hold on to one, after they had done so much studying and dealt with so much pressure," said Thu Ba. She said Vietnamese society overrates degrees and the consequences are stark. "It is a vicious circle. Students don't study for themselves. They study for their parents. Of course, they will go to universities that their parents choose. "Every year universities and colleges only accept 40 per cent of the total number of students. Clearly, 60 per cent will not make it. What now? There has to be more to life after high dog eat dog world school than just universities and colleges," she added. Well, can we dare to think even further? In this competitive frenzy that we throw ourselves into, are we robbing our children of the best years of their life? Are the values of a dog eat dog world what the children, and the world at large, need right now? Who benefits from this race to the bottom? At 10 pm, he can, finally call it a day and go to bed. To call it a day means to decide to no longer do what you have been doing. Pushing Trung's rigorous schedule into Ripley's Believe it or Not territory is the fact that it has not reached its peak, with schools having opened just weeks ago. A rigorous schedule is a very busy plan of things to do at certain times. Ripley's Believe it or Not is a company that makes a business out of people's crazy experiences. A survey is a study that involves people having to answer certain questions. Elementary schools are primary schools. When children are competitive, each tries to do better than the other. A PhD is a university degree called a Doctorate of Philosophy. A thesis is a project that a PhD student completes as part of earning that degree. The evidence suggested that extra lessons or private tutoring for more than three hours a day did not result in higher academic performances. Worse still, such students faced higher risks of academic stress, depression and other forms of psychological distress. Psychological distress means mental suffering. A veteran researcher is someone who has lots of experience in finding things out for the purpose of studying. Traceable impacts means effects that can be traced. If the findings are apparently corroborated by hospitals, it is believed that hospitals confirm these results. UNICEF Viet Nam has been supporting the Ministry of Education and Training in conducting a study on improving general capacity of students, and the ministry was well aware of the systemic weaknesses, including the lack of guidance about suitable options after high school and employers having to retrain college graduates. The capacity of students means how much they can do. To retrain college graduates means to once again train people who have already completed college qualifications. "It is a vicious circle." Sometimes whatever is done to fix a problem causes another problem. When this happens people talk of there being a vicious circle. There has to be more to life after high dog eat dog world school than just universities and colleges," she added. In a dog eat dog world everybody is trying to survive and sometimes people are nasty to one another. In this competitive frenzy that we throw ourselves into, are we robbing our children of the best years of their life? A frenzy happens when people behave in an uncontrolled way because they are so excited. 1. The country where you would find the Queensland University of Technology. 2. A type of word, called an acronym, that means the Ministry of Labour, Invalids and Social Affairs. 3. Another acronym that means UN Children's Fund. 4. The number of high schools that were involved in a 2013 study by the Da Nang City Mental Health Hospital. 5. The time Nguyen Minh Trung gets up in the morning. 1. Australia; 2. MOLISA; 3. UNICEF; 4. Three; 5. Six.